Crm Admin 101 | xRM3, Inc. I wanted to update the below “Last Follow Up” custom date field with the previous “Follow Up By” value BEFORE the Follow Up By date was changed, in order to minimize the amount of clicks for Users. Here’s a quick blog on how to update a field with data from another field BEFORE the value is changed. One of the options that can be a little puzzling when building workflows in Microsoft Dynamics CRM is the “Scope” setting. Knowing when to select which option can be a bit confusing. 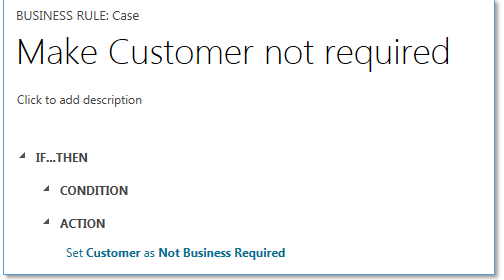 I ran into an issue recently trying to make the Case Customer field not required in Microsoft Dynamics CRM 2016. I needed to make this field not required so I could populate the value once the Case was saved, by using a workflow based on another lookup field on the Case. 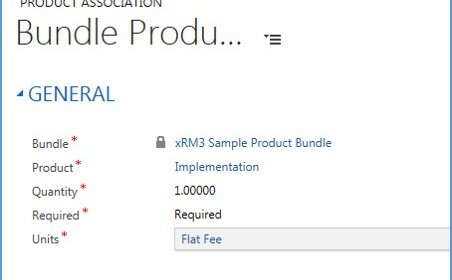 I had a hard time finding comprehensive instructions on how to properly manage pricing when it comes to Product Bundles in Microsoft Dynamics CRM. I wanted to associate products to one bundle so multiple products could be added to an Opportunity (Quote or Order), minimizing the steps it takes to add multiple products to an Opportunity. BUT, I also wanted each of the line items to reflect their own individual price once added to the Opportunity, AND I also needed those prices to be editable. 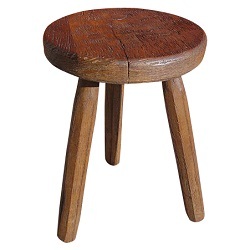 I recently came across an issue with a client. I noticed that the Chart Pane in Microsoft Dynamics CRM would not render while in the associated view inside the Account form. While testing I noticed that our CRM had the same issue and it was not isolated to the Account form. When was the last time you had a "behavior" problem with the date field in Microsoft Dynamics CRM? Well, for many of us the answer might be “recently”. Before the introduction of the "behavior" modifier for date fields, things could get a little confusing and problematic in certain situations. Let's look at how to improve behavior of the date field in Microsoft Dynamics CRM. Clean data is hard. Starting with it, maintaining it, and living with it. Having clean data can be the difference between a successful business application implementation and one that struggles. Looking for Tips and Tricks? If you are looking for our Tips and Tricks blog posts for Dynamics CRM, please check out our CRM AdminAssist blog. Engaging posts from our consulting team experts full of actionable information for users and administrators.